Support Centre Version 2.2 Update! 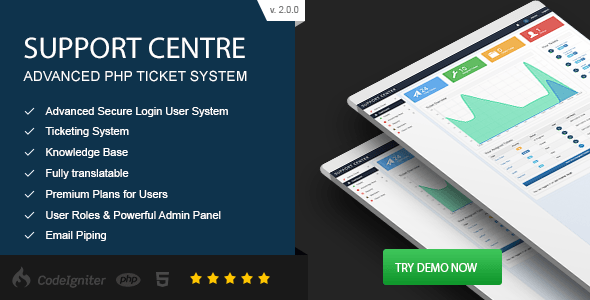 I have just released version 2.2 for the Support Centre - PHP Ticket System on CodeCanyon. 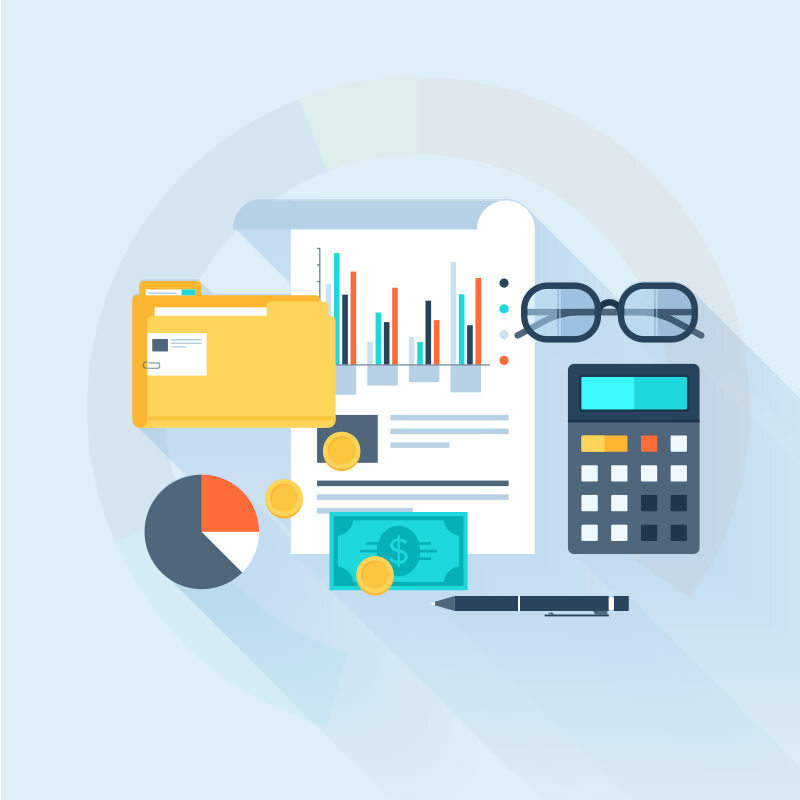 For those who have already purchased it, you can download the new updates for no extra cost from your downloads on CodeCanyon. Check the documentation for how to update to the latest version. This version brings a host of new features as well as fixing the bugs you guys have reported to me over the last couple of months. Thank you to everyone who sent me detailed reports and helped me debug them! In this update, I wanted to improve upon the system's localisation and make it easier for those who are translating it into their own language. I have now made it so implementing the IMAP Email Piping now takes in your own set of strings to obtain ticket information. Before, you had to manually modify the Cron code to change the strings and it caused quite a few bugs if it wasn't in the right format. These new options can be found in the Admin Panel under Ticket Settings. We also improved the Email Templates and RTL support for layouts. All of these areas were revamped and so it should make it easier to now translate. The Support Centre now comes with 4 layouts on the Admin side. These layouts I have used on my previous products and so I implemented some new code to the templating system to allow you to switch between them easily. The new code also makes it easier for me to add new ones, so expect more new themes in the future! The themes are Titan, Basic, Light Blue and Dark Fire. Category descriptions show when selecting the category in the client ticket creation form. Added Envato License Code checker for custom fields. Make custom fields hidden on the client side. I also revamped the User Roles system to be a lot easier to use. 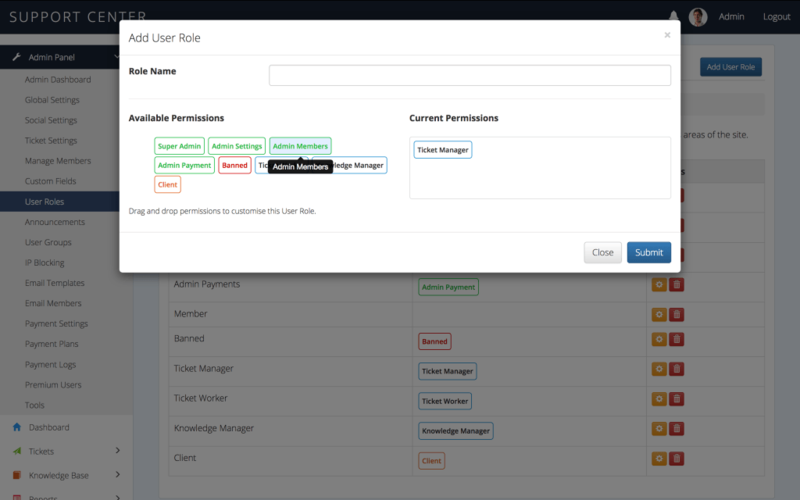 You now can drag and drop different permissions to create the perfect User Roles for your system. You can read the full list of update notes in the documentation. Interest in buying the Support Centre? You can purchase it from CodeCanyon currently. I found your blog after purchasing Support Centre on Code Canyon. Seriously, nice job. It's very polished. -How to get email piping to work (the instructions weren't newbie-friendly in this section, so my email piping is not working). Otherwise, I thought it was good enough to share Support Centre with my friends on Facebook. 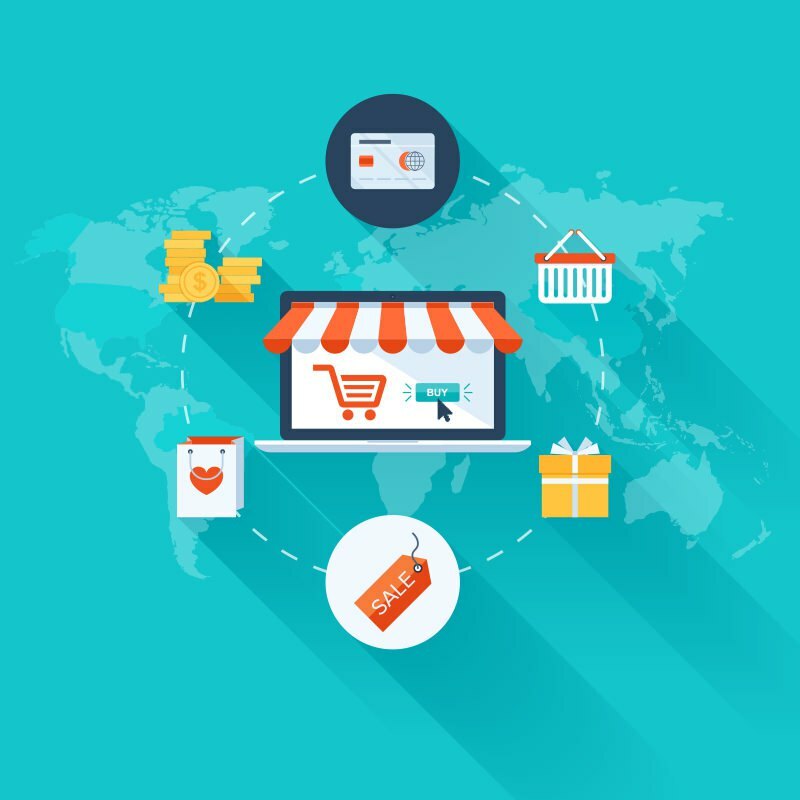 Looking to buy more from you in the future, as well as follow your blog. Thanks for your feedback! I'll definitely take this into consideration when updating the documentation and I'll also look at setting up a video. I'm actually working on a new installer to make it more simple (no editing files) but it's a little way off yet. I've noted your suggestions though :) Thanks!